A young graduate student receives a shocking killer’s confession letter dated March 29, 1941. Is it real, is it a prank or a warning? Either way, there must be a link between an eighty-year old letter and Marie French. 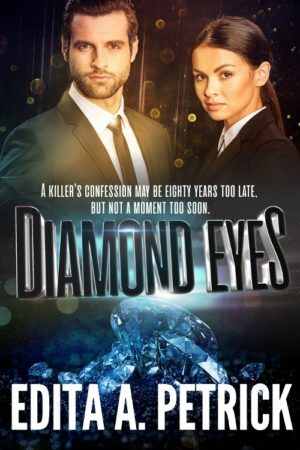 She has a secret of her own that binds her to the Crozier diamond brokers, one of the richest clans in North America. Frightened she contacts the police, but an arrogant inspector, drunk on his recent promotion, tosses her report into someone’s wastebasket. It’s how Detective Lina Mills steps into a case that is as troubling as it is bizarre. But her partner, Detective Rob Ingram dismisses the case, because he believes Marie is sending these letters to herself as a cry for help. He knows something his partner does not. As a teenager, Marie tried to commit suicide.